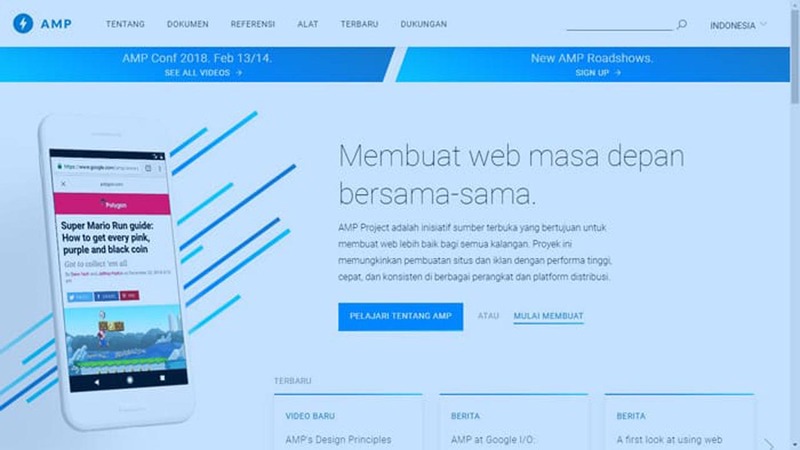 AMP Blog (Accelerated Mobile Pages) is a blog with customize script on a blog page with access to dozens of times faster load it than mobile-friendly blog and googleweblight. Why should we use AMP? The AMP page loads faster and looks better on mobile than the standard HTML page. At least that's how Google thinks. And this post will desribe you how to Make your Blog Post AMP Fast Index by Google. Basically every post that just published should be submitted in the URL to google submit. It is useful to col or tell google that we have a new article ready to be crawled by googleboot. But what about the articles from the AMP blog itself? You can visit the AMP test page or you can visit it at "search.google.com/test/amp". Then click enter on your browser. Next you can enter the homepage url and url of your AMP blog post to test whether it is valid AMP or not. When the notification appears "Valid AMP Page" then you can simply select "Send to Google" button. So notice as below will appear. Press OK. When you press Ok, it will help google to make sure that your article ready to publish on AMP mode. this step is complete. simple isn't? That's all about How to Make Your Blog Post AMP Fast Index by Google . Hopefully can help you in managing the AMP blog you just built. Let the spirit of writing to earn income. Share this blog URL with other blogger friends yes. And do not forget to comment and experience in the comment box below. Thank you for visiting.